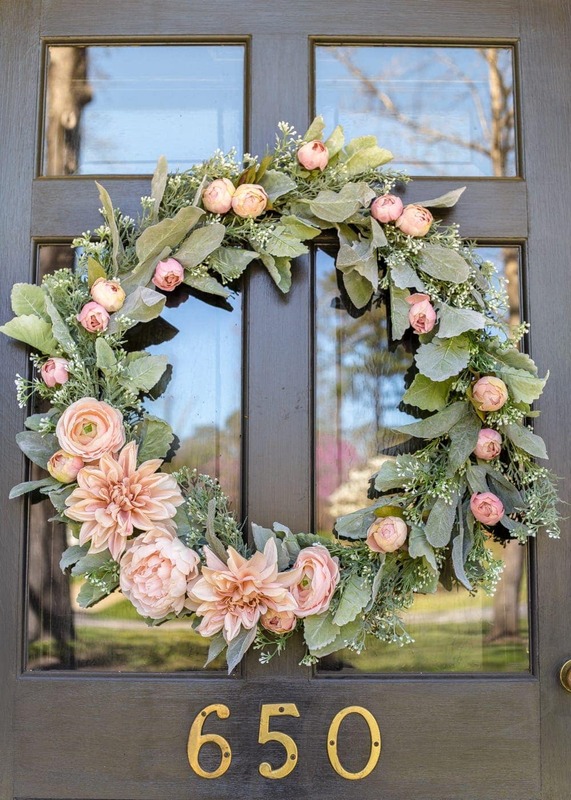 A step-by-step tutorial for making a spring wreath from scratch using artificial sage greenery and blush flowers for soft, romantic style. I’m kind of a wreath snob. I know. I’m totally ashamed. I’ll decorate our house with recycled bottles bound for the trash. I’ll swoop in for a piece of furniture that would get passed up at any yard sale. I will fill our house with IKEA everything and pretend it’s designer in a heartbeat. But I’m the pickiest person alive about the wreaths we hang on our front door. 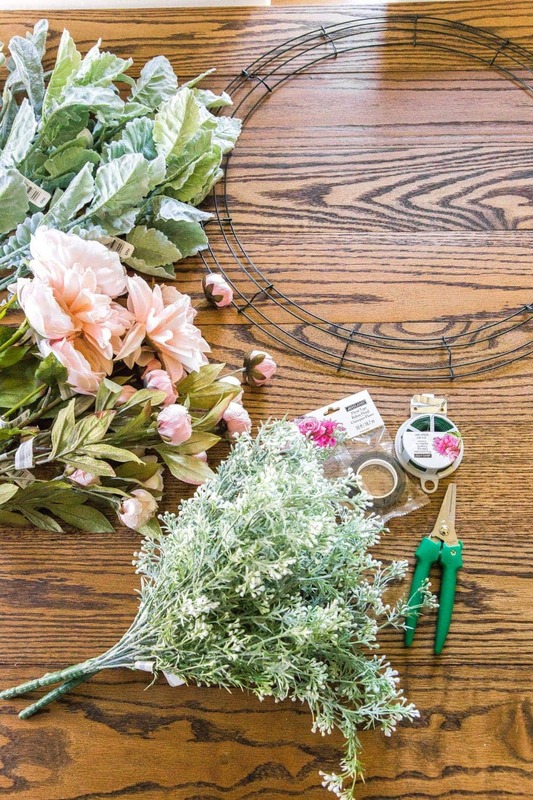 So I thought I’d share how you can make your own DIY spring wreath, if you’re kind of a snob about it like I am. 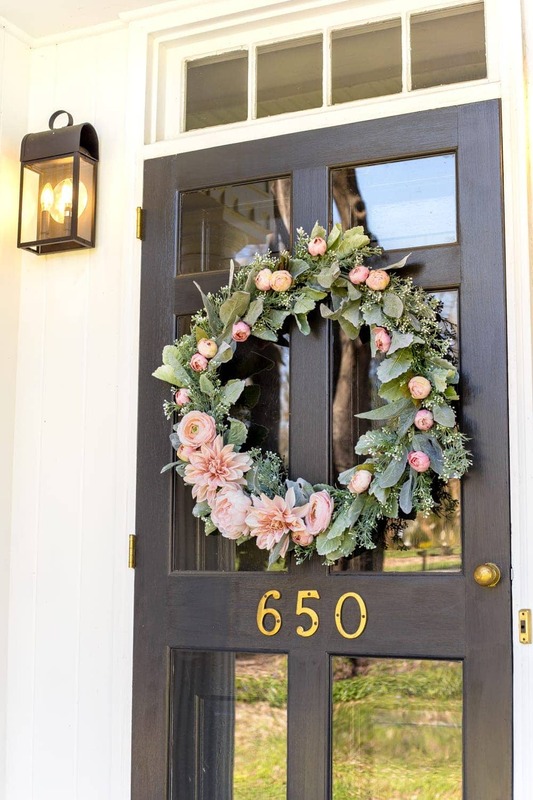 You can find a bunch more inspiration at the end of this post for The Happy Housie’s Seasonal Simplicity Wreath Bloghop, if “bashful and blush” isn’t your thing. 1. I started with the lamb’s ear first by snipping them into individual stems and placing them evenly around the wreath frame. And then attached them with florist wire and tape. 2. 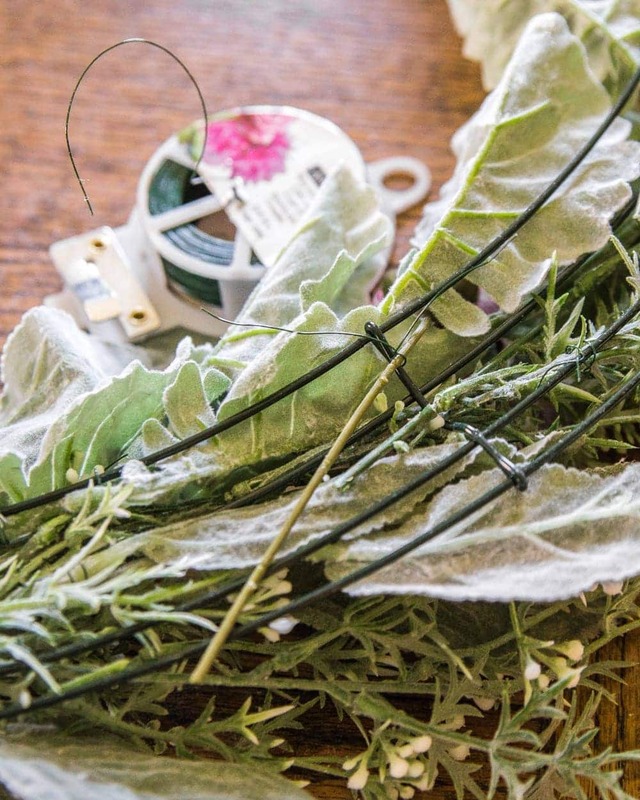 Once the lamb’s ear was in place, I took apart the white berry bushes by snipping individual stems and attaching them with more wire and tape between the lamb’s ear stems on the wreath form. 3. 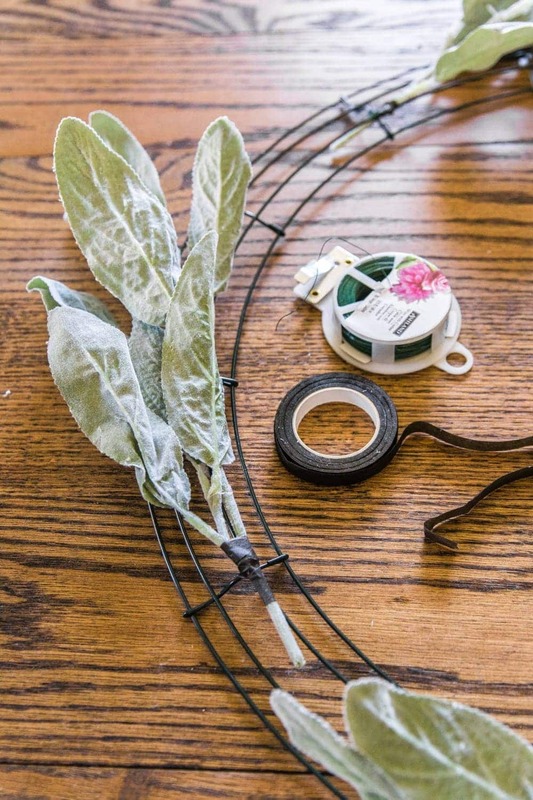 Then, I placed the blush flowers where I wanted them, pulled the stems through the wire form and attached them with more wire on the backside of the wreath. 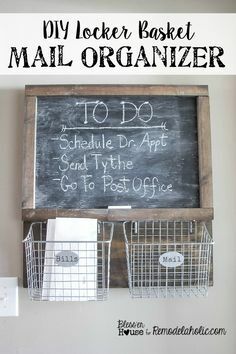 Easy and done in under an hour! And now our wreath is hanging out on our front door hoping spring will show up soon. This is actually the first wreath I’ve ever made totally from scratch, and I think I’m ready to make more because this one was WAY more fun than I thought it would be. I’m not exactly the crafty type (more of the furniture painting / home improving type), but I can get on board with this new little hobby. Really sage and blush (and “bashful”) anything has my heart to begin with. Now to get the front porch swept and the rest of this little stoop in spring shape and we’ll be in business. So pretty! Love the soft, spring-y colours. Wow, all that in under an hour? I’m impressed! So pretty! What do you use to hang it on the door? I learned from the best. Haha! One of those Mom-isms. It turned out amazing, Lauren! I’m obsessed with the blushes and the lambs ear combo! Wreath is beautiful! I was looking thru the items linked and you might want to take a look. Unless this wreath cost you over 500.00 to make. 🤣 Im thinking is was very budget friendly. Haha! So about that… Michael’s only allows you to order online in bulk which is a major bummer. 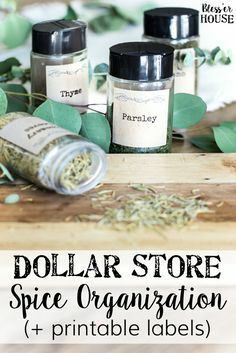 But I wanted to link the exact items I used so that when people shop in stores in person, they’ll know what to get. I definitely don’t recommend spending that much money unless you plan on making 10 wreaths. Haha! Big ol’ nope! And yes, it’s still more budget friendly than buying one already made from a florist/artist. Wonderful! Looks easy when you do it – might give this a go! Thanks for the inspiration. Absolutely beautiful, Lauren! 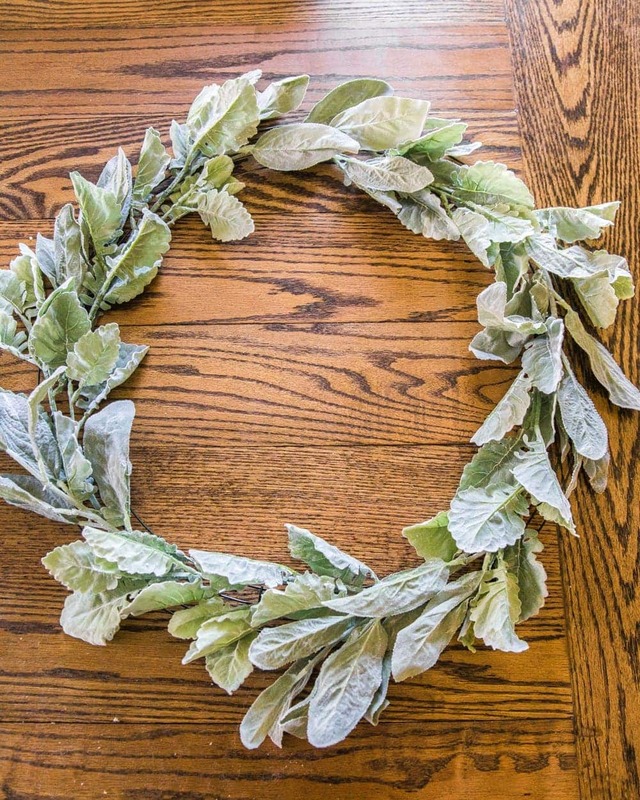 Hard to believe you haven’t been making wreaths forever. Love the colors and the way you placed the flowers. 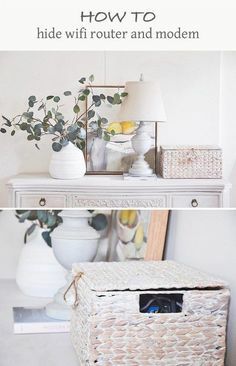 I’m inspired—off to Michael’s and hoping they still have some blush floral stems left! This is so stunning. Love all of the colors you used. Happy Spring! I, too am a wreath snob. Yours looks high-end florist worthy. Thank you for the tutorial!!! this is gorgeous. This is so pretty! 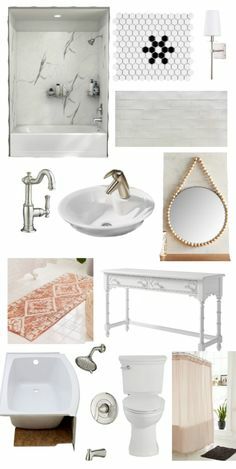 I love the soft blush colors, perfect for spring! So pretty Lauren! 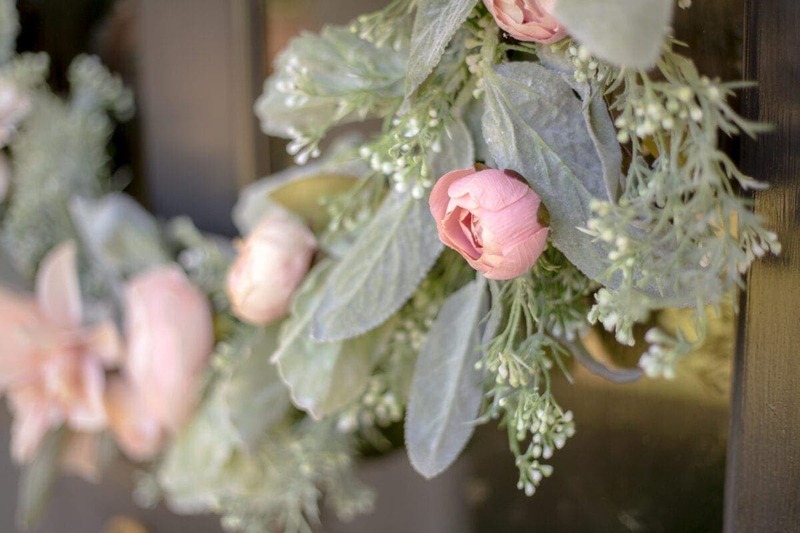 I love the blush with the silver foliage…gorgeous! 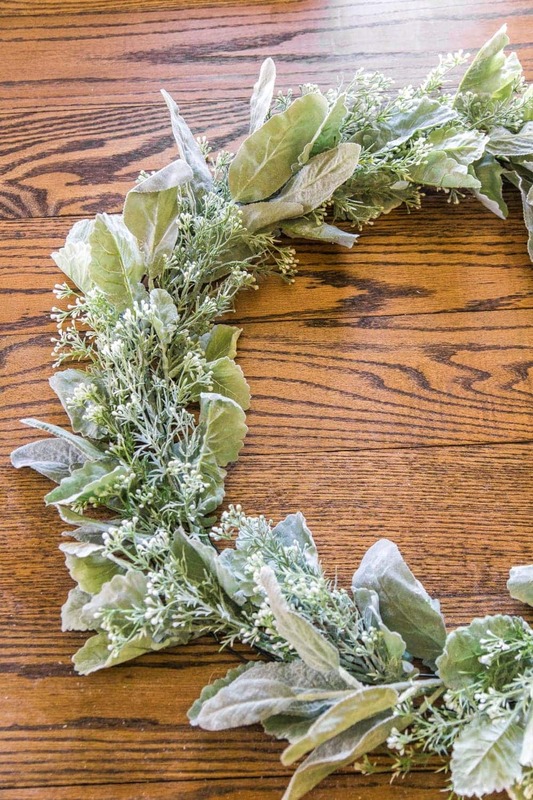 Love this pretty wreath! Lambs ears and peonies are the perfect combo! Thanks for sharing! I love your wreath – it’s so beautiful and I love the soft colors. It really reminds me of a wedding. 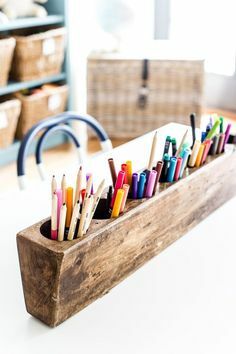 😀 You made this project look so easy and now I want to make one. Artificial flowers have come a long way! Your wreath is so pretty! 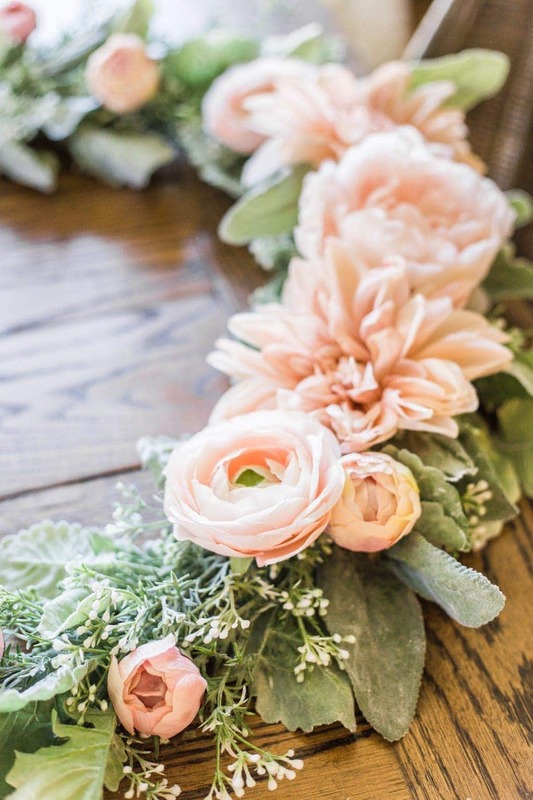 Love the blush flowers- they almost look vintage. And the way you put the larger flowers off center is charming. You’ve inspired me to try my hand at wreath making! Love all the ‘blush’ hues! Lambs ear and ranunculus. . .now you’re speaking my language! 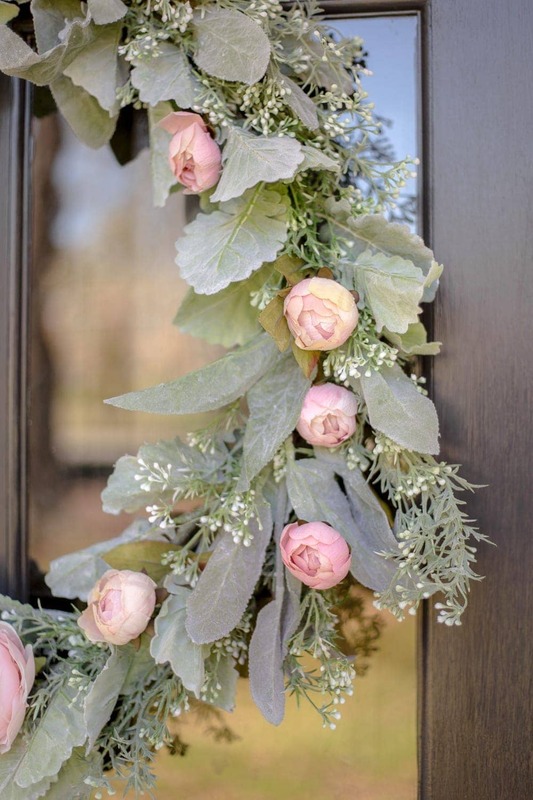 Thank you for inspiring with this lovely sage and blush Spring wreath! Stunning as always Lauren! I hope Spring shows up soon too. Looks like you got a great new hobby! I can’t believe you haven’t made a wreath from scratch. Amazing first try. Such a pretty wreath Lauren! Love the soft pink color! Oh Lauren, I am a TOTAL wreath snob! I think it’s why I always make my own wreath – I don’t love cutesy, but I do love a little something extra! Fun to participate in these hops with you. 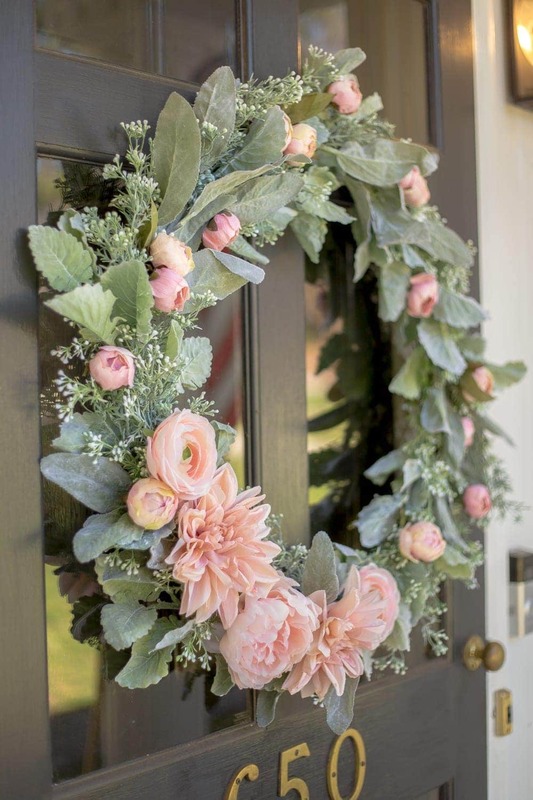 I love your blush wreath and have pinned it to my wreaths board! Just stunning! You did a fabulous job. How many stems of the lambs ear did you use? Hi, Lisa! Great question. I used about 6 stems. The wreath is beautiful, but my question is regarding your front door. If you don’t mind me asking, is that a vintage-inspired storm door or your actual front door?